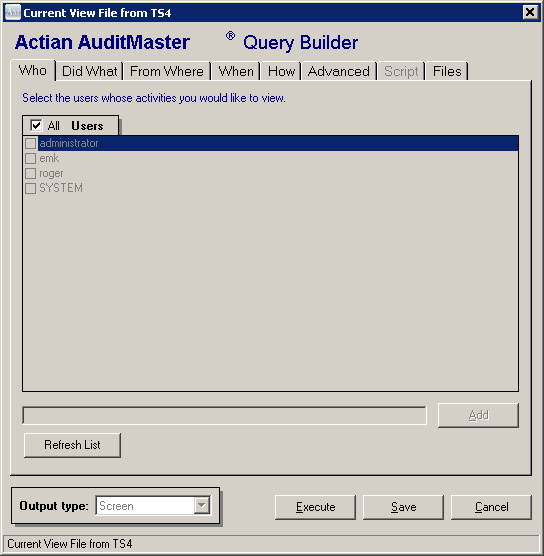 From your desktop, find "Audit Master Viewer" to startup. Expand your server node, enter “Admin” and password. If you don't know the password, ask your admin. If you are the admin, call Netcellent. 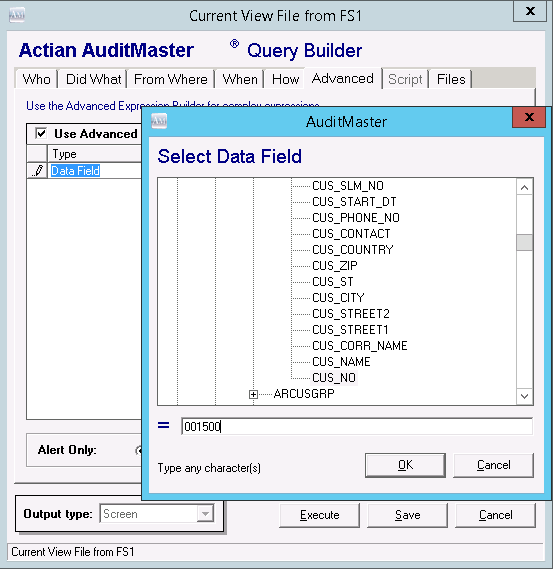 Who: Indicates the auditing data from which you specify users' data you'd like to see. Default is "All" users. Did What: Since Elliott uses the Btrieve engine only, you may narrow it down by using "Insert," "Delete," "Modifying Before" and "Modifying After." This is under "Operations," Pervasive SQL (BTRIEVE). In addition, under the "Tables" area, you may expand the "Elliott Business Software V8.2" node and select the changes to the specify the table you are interested in seeing. From Where: If you are interested in seeing the changes from a specific workstation and you know the IP address, you can use this tab. When: If you know the changes are taking place on a certain date and time period, you can narrow it down from this tab. Highlight the particular entries on the top that you are interested in seeing. In this example, it shows the date and the time that the user made a change to a customer record (ARCUSFIL) by dropping the value "USA" from CUS_COUNTRY field (Modify Before vs. Modify After). Now you can right click on the uncompressed archive file and choose "Query..." in the drop down menu. If you are specifically interested in what happens to a particular record. (i.e., you would like to know who made the changes that dropped the "USA" from the CUS_COUNTRY field with customer number 001500), then you should use "Advanced Search." Now click "Execute" and see the result. If there are no records found, then you need to try other archive files. 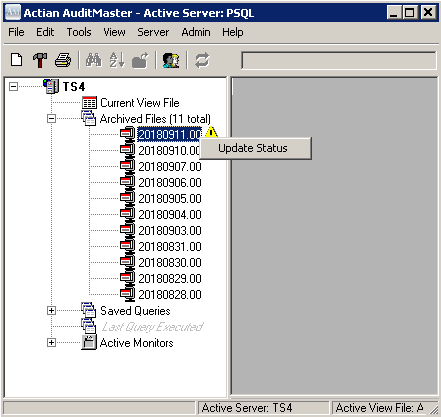 Since it can be tedious to look at various archive files, we suggest that the maximum audit data file size be 1,024 MB and the maximum number of archive files be set up as 10 in our Audit Master Installation and Setup KB article. If you can't find the change in the current view, or in all 10 archive files, then it means the change was before the earliest archive file we have. The Advanced Search allows you to focus on who and when the change took place. But often when you ask the user why he did what he did, he will tell you, "I don't know." 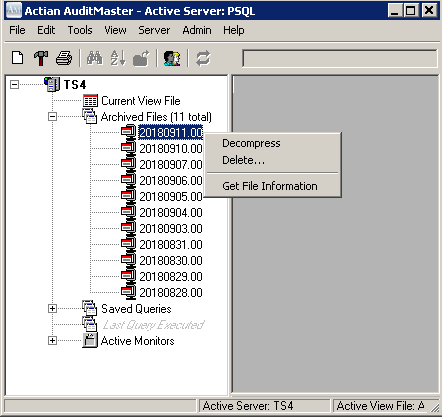 To shed more light on the situation, one common technique is to use the "Who" and "When" tabs to see all related activities of what the user was doing at the time. By seeing the activities of the user, you will have a better sense of what the user did to cause the particular change. Sometimes, this can be a user procedure issue, in which case you might want to revise your operation procedure to prevent it from happening in the future. Sometimes, this is an Elliott bug. As long as you can identify the steps it takes to replicate the problem so that we can replicate the same in-house, we can address the issue for you quickly. 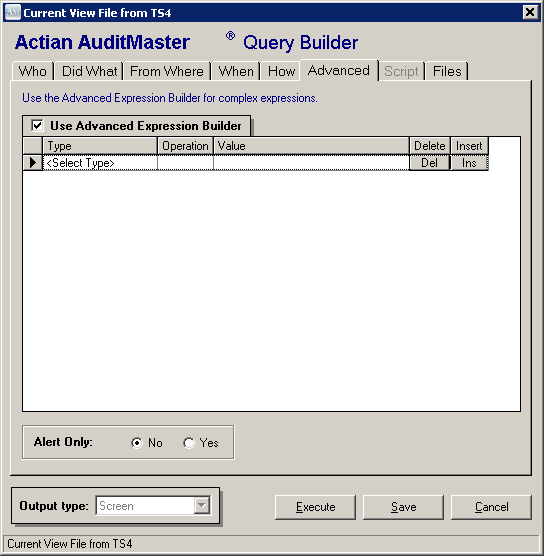 This is why the Audit Master is an invaluable tool.